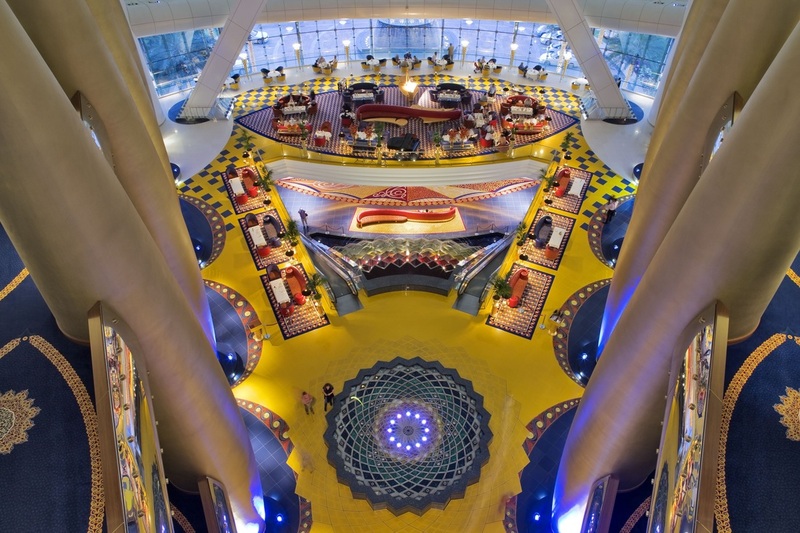 DAY 2: THE BURG AL ARAB: The Burj's graceful silhouette – meant to evoke the sail of a dhow (traditional wooden cargo vessel) – is to Dubai what the Eiffel Tower is to Paris. Completed in 1999, this iconic landmark sits on an artificial island and comes with its own helipad and a fleet of chauffeur-driven Rolls Royce limousines. 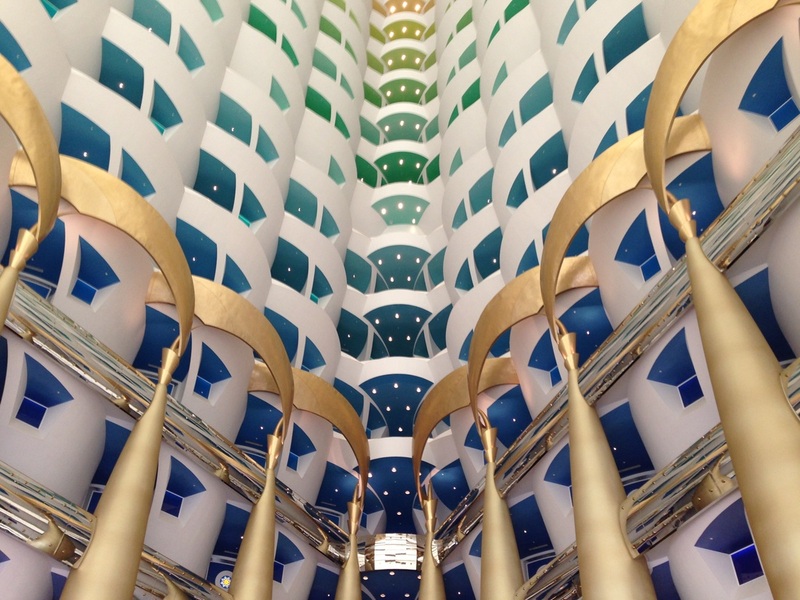 Beyond the striking lobby, with its gold-leaf opulence and attention-grabbing fountain, lie 202 suites with more trimmings than a Christmas turkey. It's worth visiting if only to gawk at an interior that’s every bit as lavish as the exterior is gorgeous. 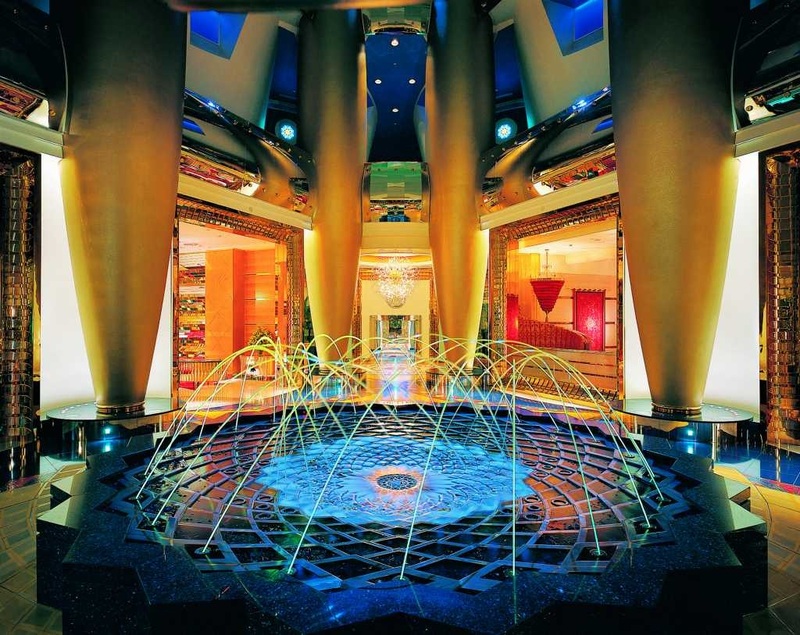 The mood is set in the 180m-high lobby, which is decorated in a red, blue and green colour scheme and accented with pillars draped in gold leaf. The lobby atrium is tall enough to fit the Statue of Liberty within it. 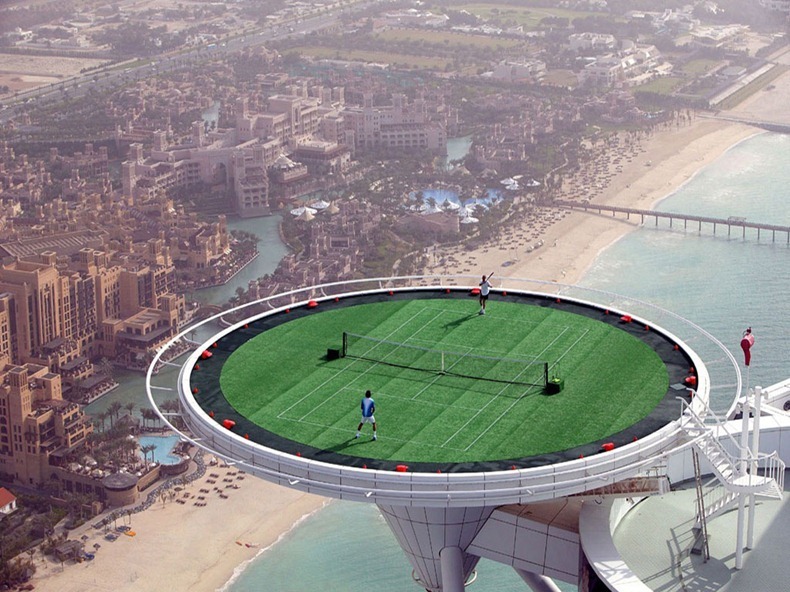 There is a tennis court perched at the top on the building that looks anything but safe. 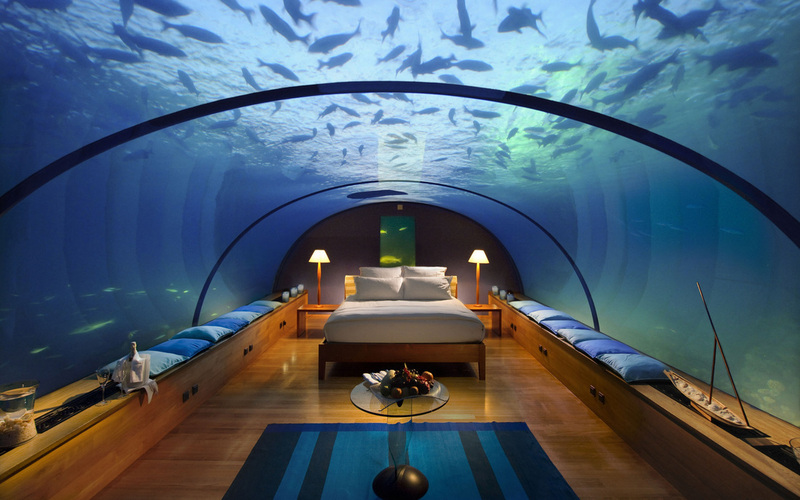 There are underwater hotel rooms, as well as the most expensive hotel room in the world. DAY 3: BURJ KHALIFA - The Burj Khalifa is a stunning feat of architecture and engineering, with two observation decks on the 124th and 148th floors and a restaurant on the 122nd. 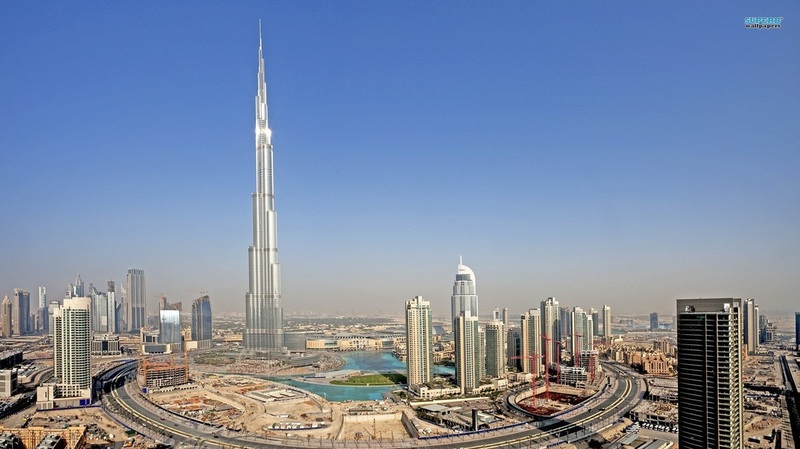 The world’s tallest building is so tall you can see it from 60 miles away. That would be like looking toward Memphis and seeing a building in that city. 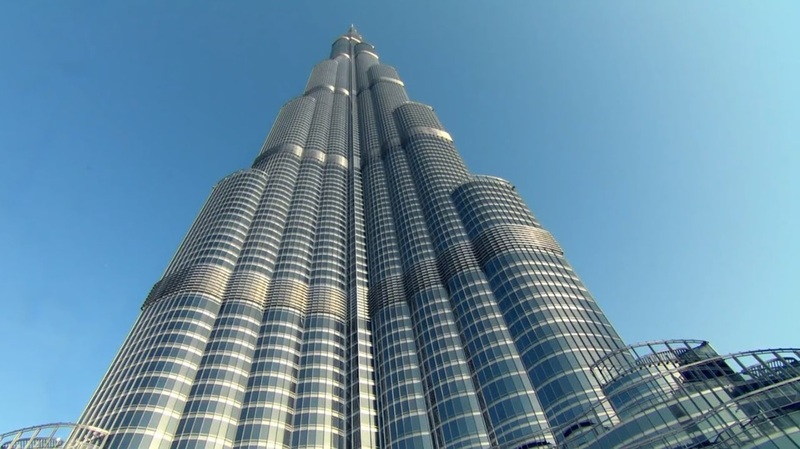 Do you wonder why was Burj Khalifa built? 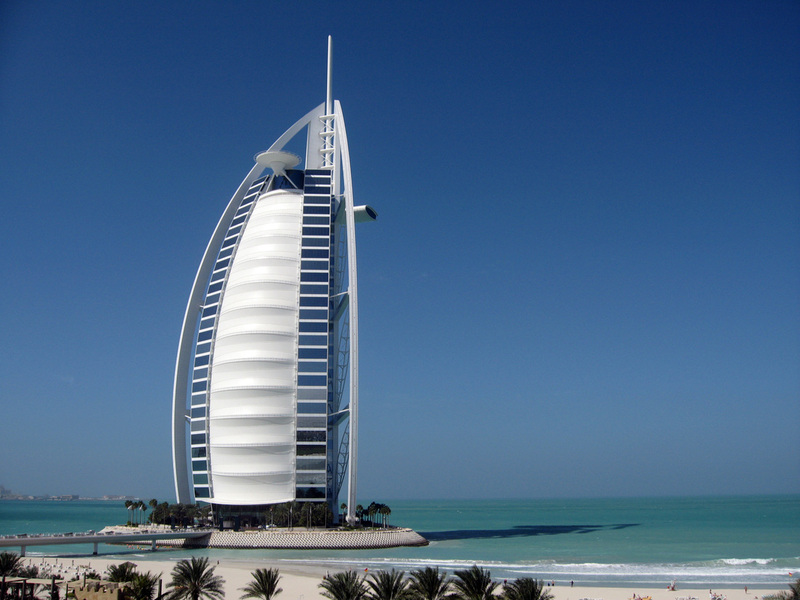 Dubai was primarily famous for its oil industry. 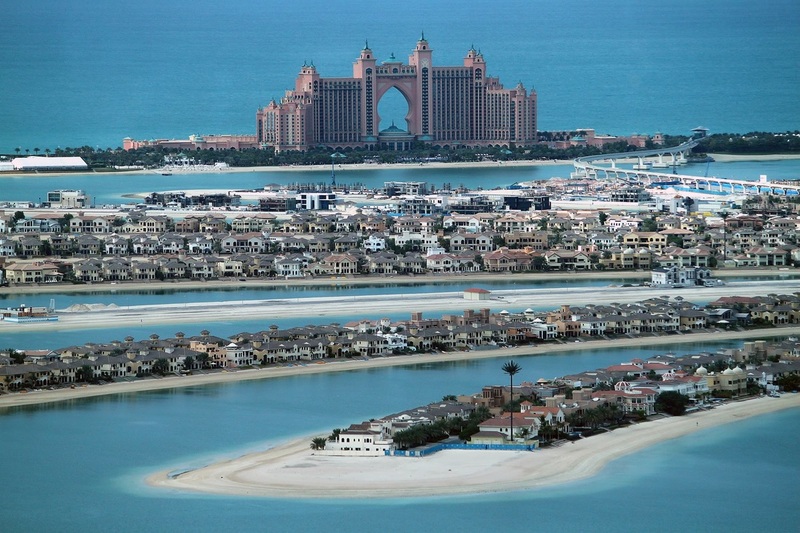 Sheikh Mohammed bin Rashid, constitutional monarch of Dubai, wanted to make Dubai a tourist friendly place with something sensational to offer. With that thought in mind, the construction of the building started in 2004. It took 6 years for its completion, and the building was inaugurated in January 2010. 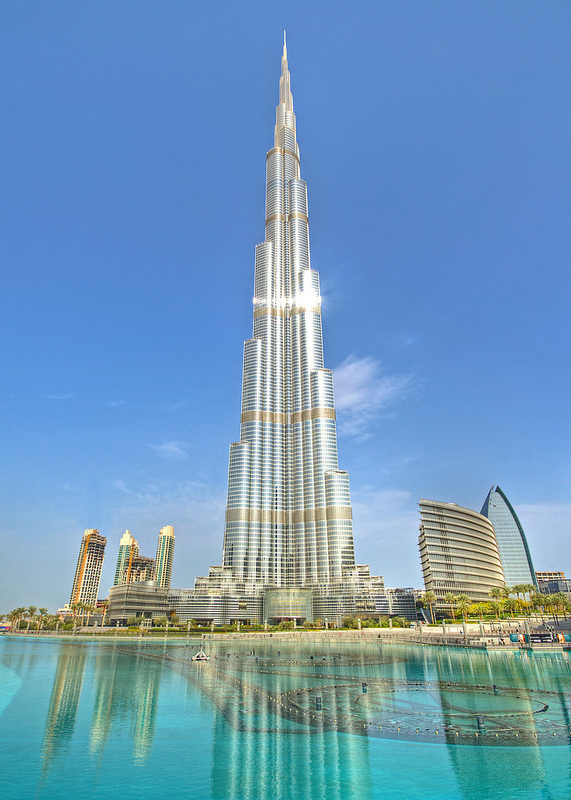 Though the Burj is in Dubai, it was an American architecture firm that designed the now landmark building. DAY 4: MAN MADE ISLANDS! 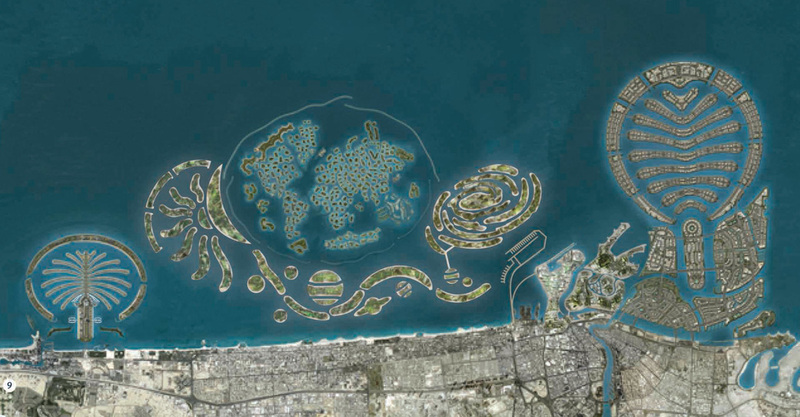 The most amazing of all of Dubai's megaprojects is the collection of reclaimed islands just offshore. "Reclaimed islands" means land that wasn't there --land they actually made! All three islands share their date palm tree form with a spine, fronds, and a long trunk. 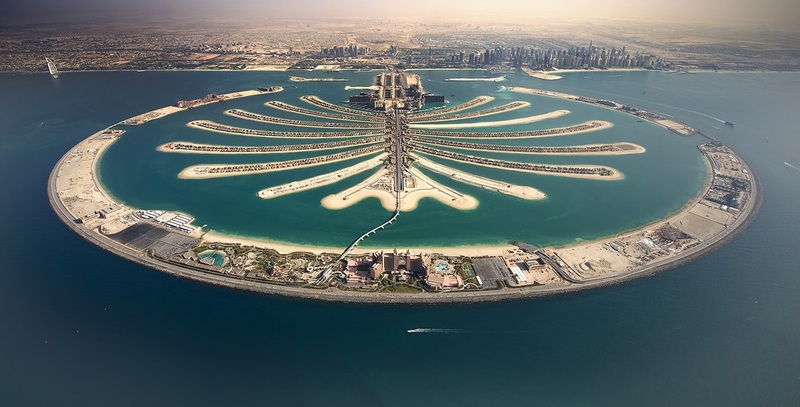 Unlike other previously man-made islands that are built from metal and concrete, Dubai's Palm Islands are made from all natural materials - rock and sand. 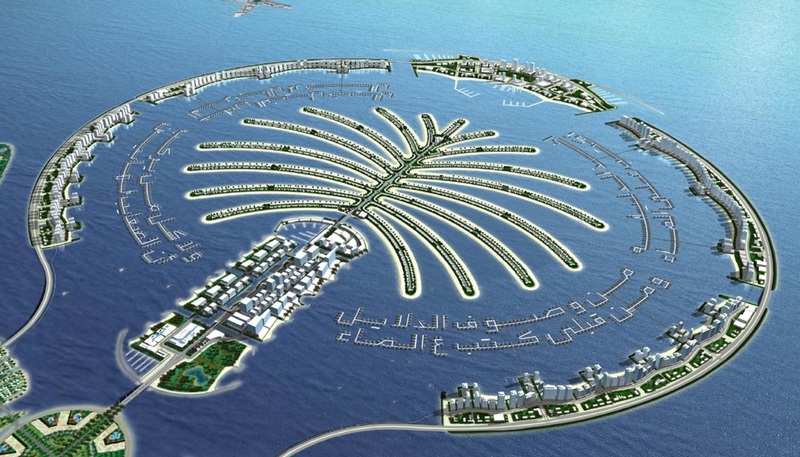 First came the palm-tree shaped Palm Jumeirah, which the city bills as the eighth wonder of the world. 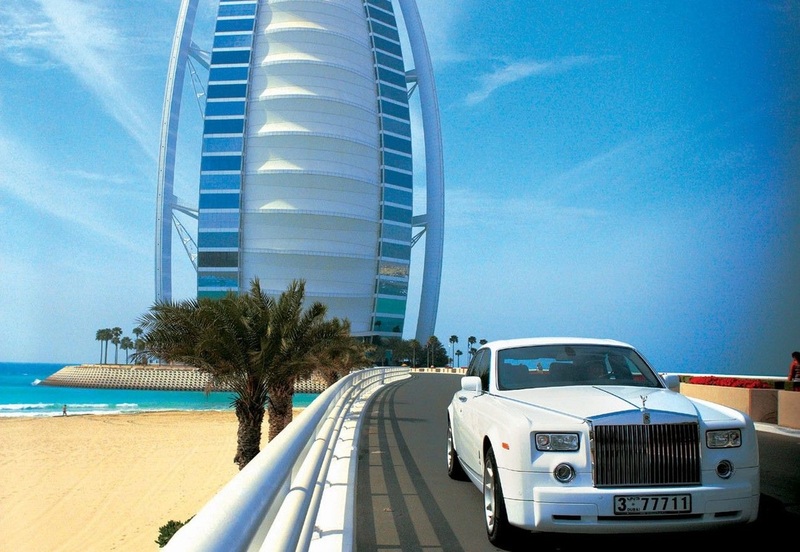 Jumeirah has everything and more you would expect to see in a modern city. Many people live there, but only the rich. And there are two more islands, Jebel Ali and Deira, in varying stages of development. 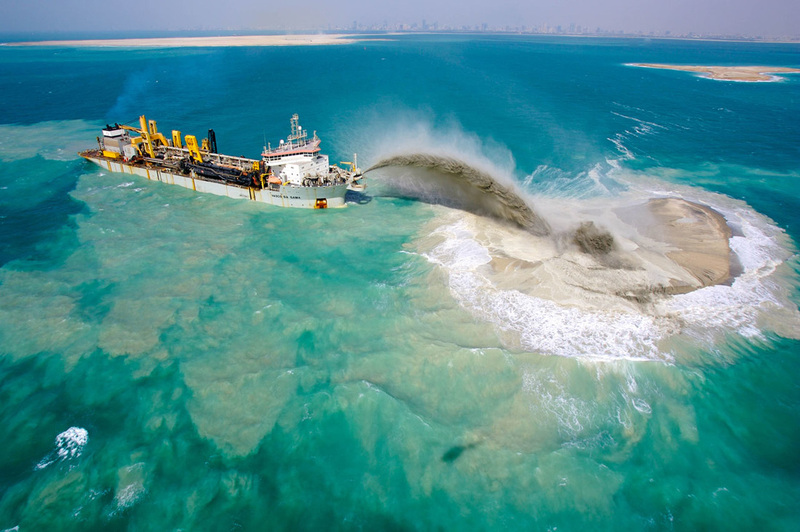 In an outlandish stroke, Jebel Ali will actually feature a breakwater that spells out a line of poetry by Dubai's ruler Sheikh Mohammed bin Rashid Al Maktoum ("It takes a man of vision to write on water"). Last, but certainly not least, is "The World," an archipelago of islands that forms a world map in miniature; the islands are for sale, so if you can afford it, you can buy a "country" for yourself. "The World" in middle, surrounded by the Universe. See the sun and moon? Dubai is truly a remarkable place filled with astounding architecture and glory, however it is important to remember that in Dubai (like in so many places we have visited) not everyone is rich. It is important that most of the people never enjoy the amazing things there is to see and do. 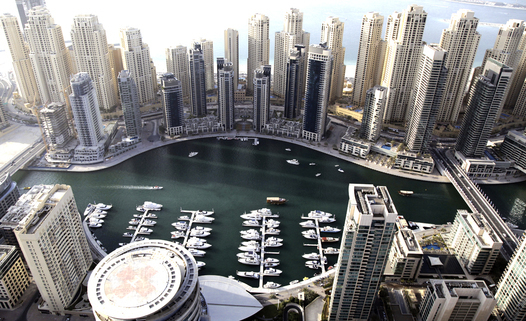 Many refugees go to Dubai, seeking work. They are paid very low wages. 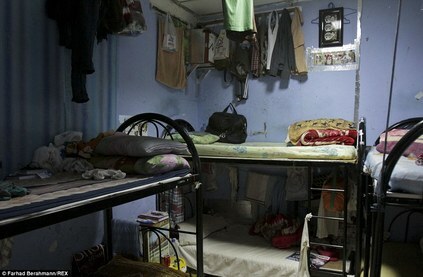 Despite the low pay, it is sad to know that conditions were even worse in the countries they fled from. The small amount of money they make is usually sent back to their families. This results in living conditions that anything like the luxury hotels. Today we remember that the grand images we see of other places is not the whole story. Today we remember the poor.